A while ago I started work on a Raspberry Pi controlled LED Chaser project, designed to look just like the lights on the front of KITT (the car from Knight Rider). 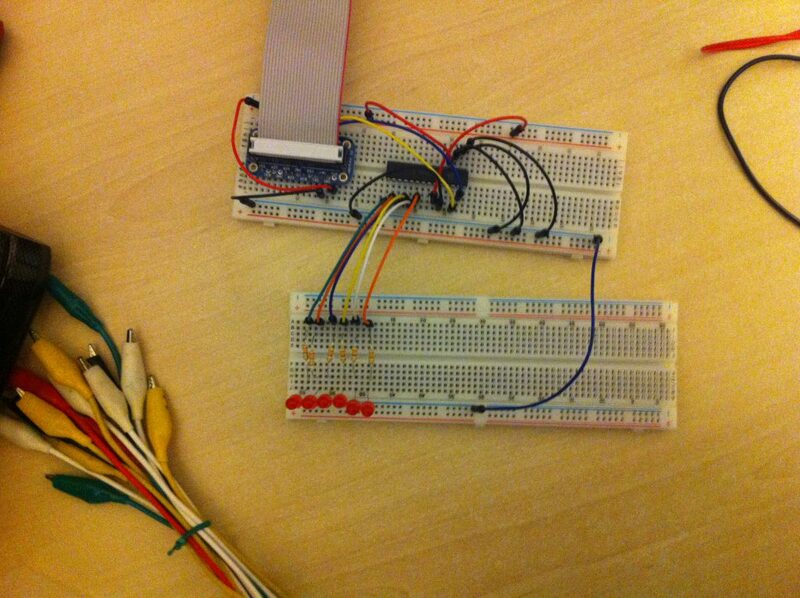 It started off with a few LEDs and an Adafruit Cobbler breakout kit for easy hookup to the GPIO pins on the Pi. 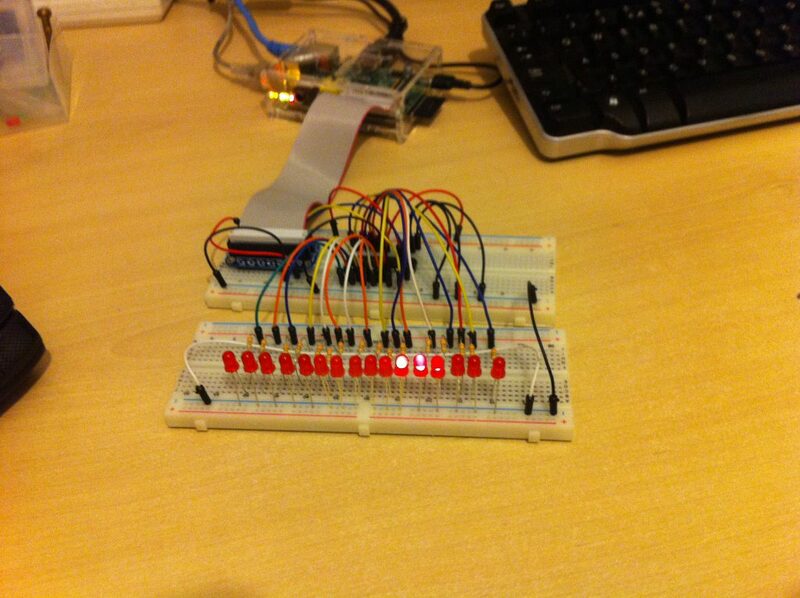 The Raspberry Pi has a limited number of IO pins but it does have I2C and SPI. 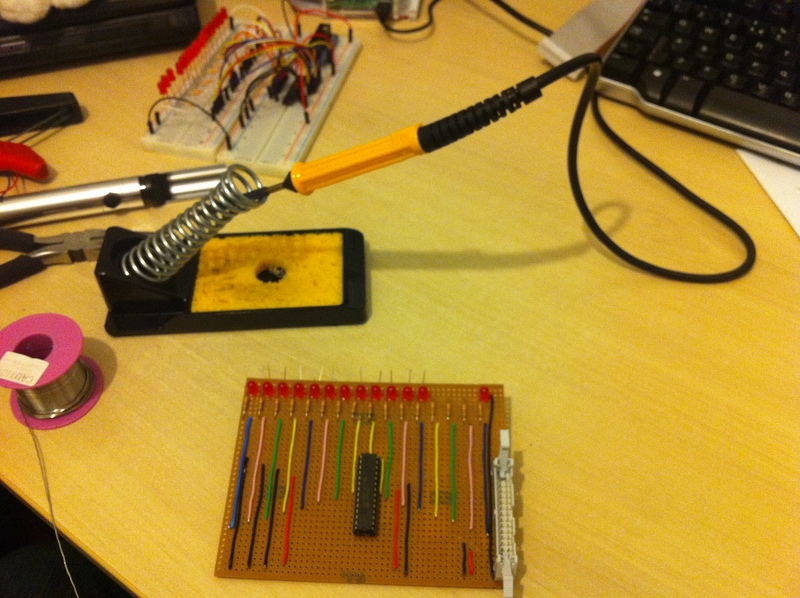 So I used a MCP23017 I2C expander chip to increase the IO pins to 16 which will allow me to drive 16 LEDs in all. 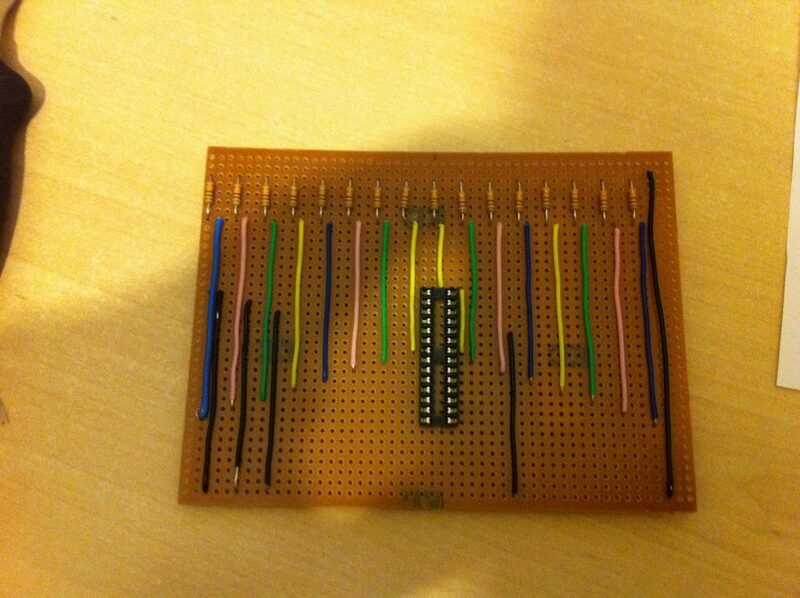 Once I was happy that it all worked as planned, I decided to transfer it to a more permanent board. 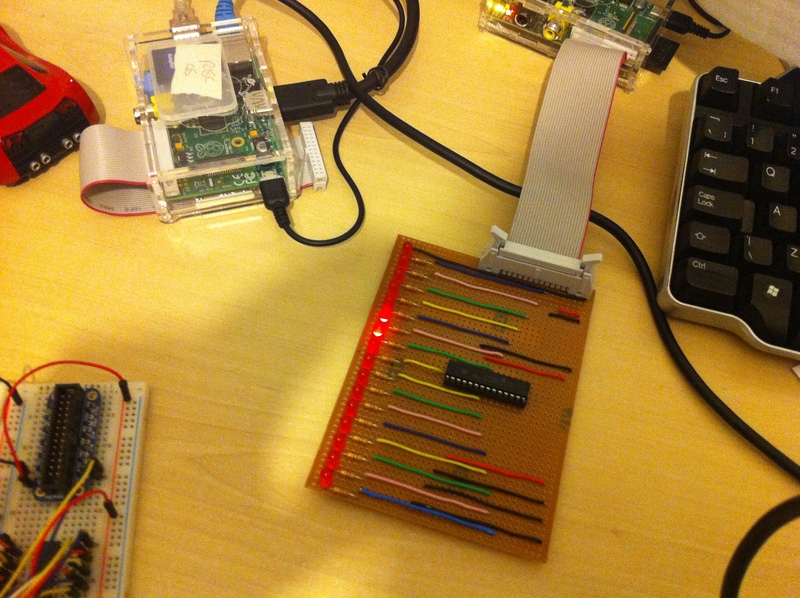 This entry was posted in Raspberry Pi on 23rd June 2013 by Ping^Spike. I should probably add, this has been put to use as a broadband speed monitor. The slower my internet connection, the slower the LED scans across. The faster my connection, the faster the LED scans. Also, if the internet drops out completely (which happens a lot around here) then the lights change to display a predetermined pattern.